Silly string or ribbon spray is a polymer foam that shoots out of a can as colored "string". The stuff you buy in a can is an acrylate polymer with a surfactant, although most of the can is filled with a propellant to jet the foam out of the container. Since pressurizing a can isn't something most of us can do, homemade silly string uses a simple, forceful chemical reaction to push strings of foam out of a bottle. The reaction is based on the elephant toothpaste chemistry demonstration. You can get yeast and food coloring at any grocery store. Probably the best place to get the peroxide and the bottle is a beauty supply store. You need at least 30 volume peroxide, which is ten times more concentrated than typical household peroxide solution. Fill the bottle with pointed tip most of the way full with the peroxide solution. Add food coloring, unless you want white string. When you are ready to make the silly string, add a spoonful of yeast to the bottle and quickly cap it. When the yeast and peroxide react, the resulting foam builds up pressure quickly, so if you don't cap the bottle right away, it will be hard to do it later. Shake the bottle to activate the foam. Point the bottle away from people, pets, furniture, etc. The peroxide is a strong bleaching agent, so it's best to do this project outdoors. Hydrogen peroxide is extremely reactive and can burn your eyes and skin, as well as bleach your clothes and hair. 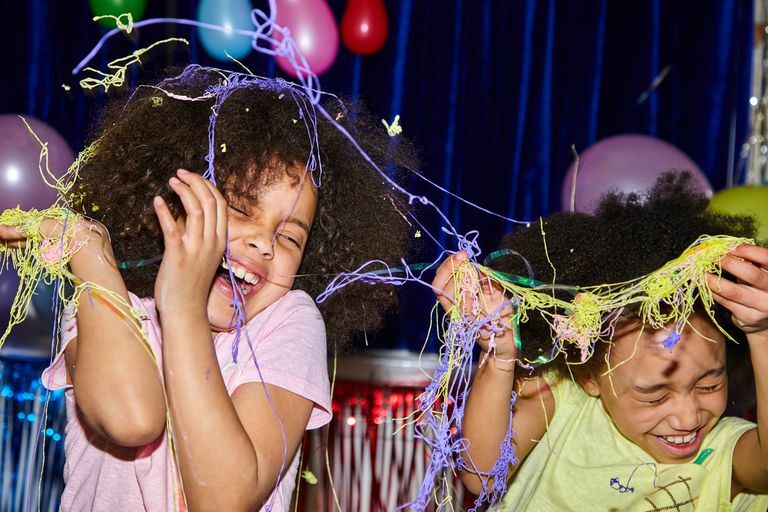 Wear safety goggles and gloves when preparing and using homemade silly string. Don't play with the foam or drink it and be sure to wash down the area after your project with lots of water. If you substitute fluorescent dye for food coloring, you can make the silly string that will glow brightly under a black light. Alternatively, you can use glow powder, which will glow on its own, although not as brightly because the pigment worked best when it is exposed to bright light beforehand. Fun Fact: Military personnel spray silly string to detect trip wires that could trigger explosives or traps. If you have a way to pressurize a can, you can make your own real silly string. Over the years, the composition of the product has changed to improve its performance and eliminate the CFC originally used to propel the polymer. The original polymer for silly string was polyisobutyl methacrylate, extruded by forcing it through a nozzle with dichlorodifluoromethane (Freon-12). Since the original patent, manufacturers have replaced Freon-12, an ozone-depleted compound, with a more environmentally-friendly chemical. The surfactant sorbitan trioleate kept the string from being too sticky. So, to make your own real silly string, you need an acrylate that will polymerize in air, a propellant, and a surfactant. Go for it!